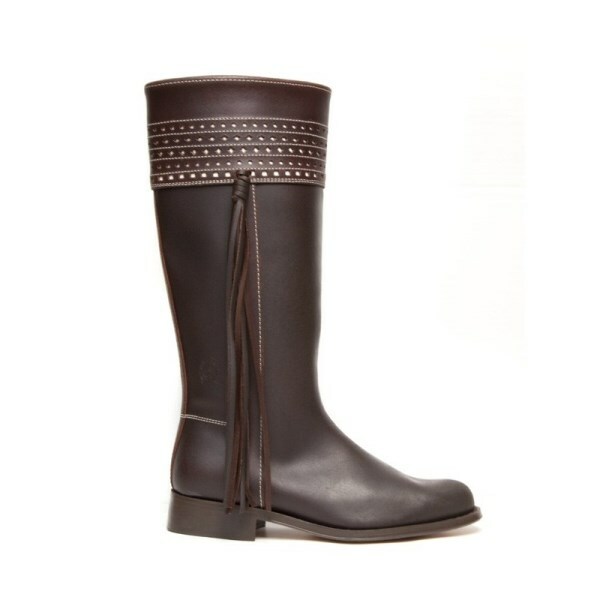 These stunning boots in highest quality box calfsking leather with tassels in a beautiful dark brown waxed and oiled finish complement any outfit. 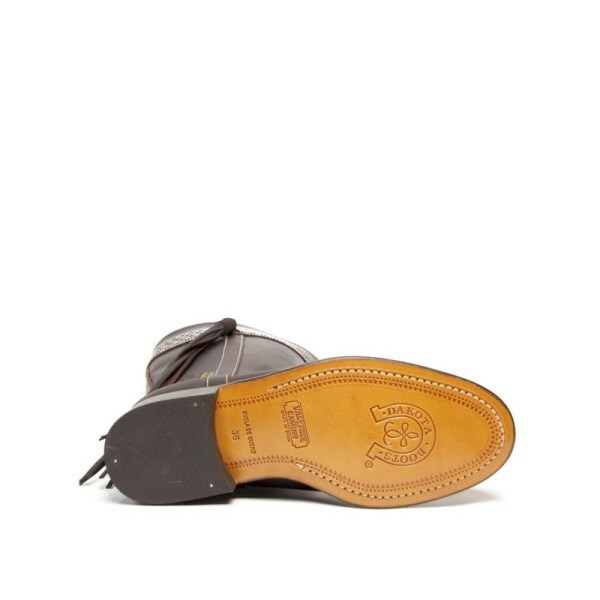 A timeless classic style also great for wearing riding especially polo. Looking particularly stunning with jeans or jods! Upper band Carthusian style carved and fringed on the outside. Also available in size EU35, EU41 and EU42. 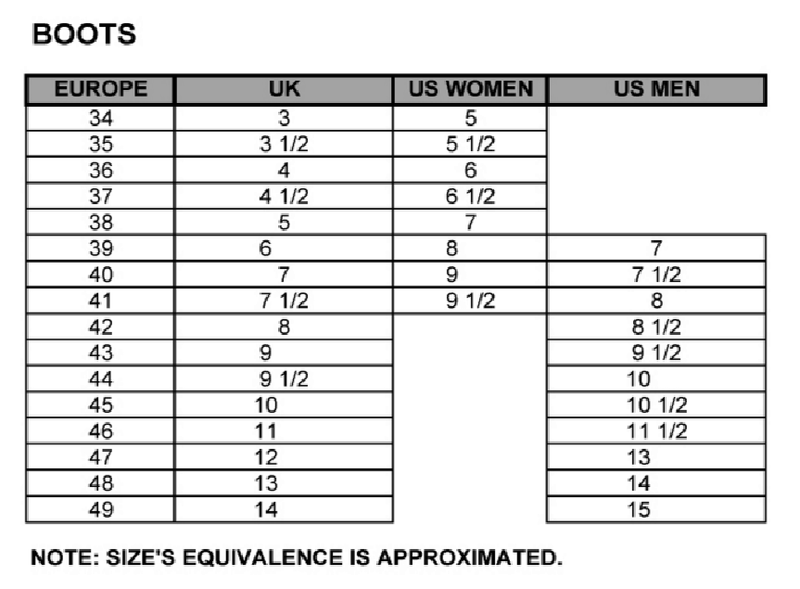 If you need that size, please add to cart one size up and indicate your size at the check out in the 'notes to the seller' provided. Aftercare: Wipe leather with damp cloth and allow to dry. Apply a good quality wax. Ideally use wax which contains jojoba oil and lanolin. DAKOTA Boots ensures the highest quality, design and comfort of these porpoises, combining the latest technology with the expertise of its master shoemakers. 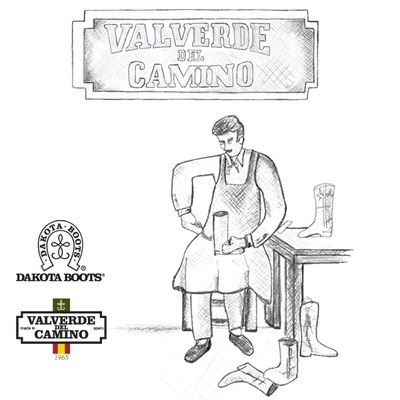 All the knowledge of Valverde del Camino's Spanish crafts! 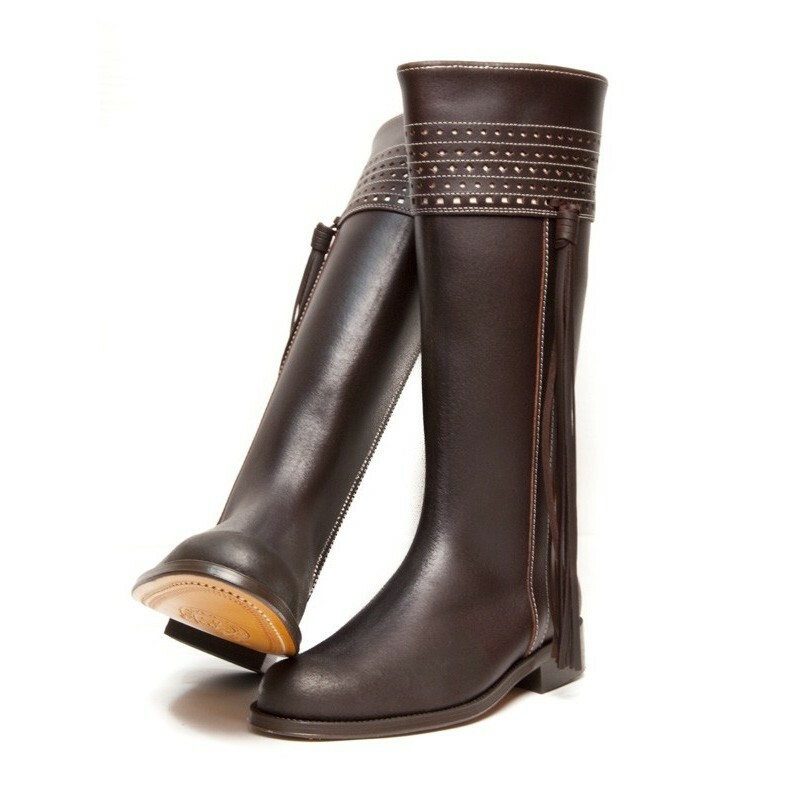 Some of the most beautiful hand crafted shoes and boots for riding, walking persuits, hunting and general fashion wear.